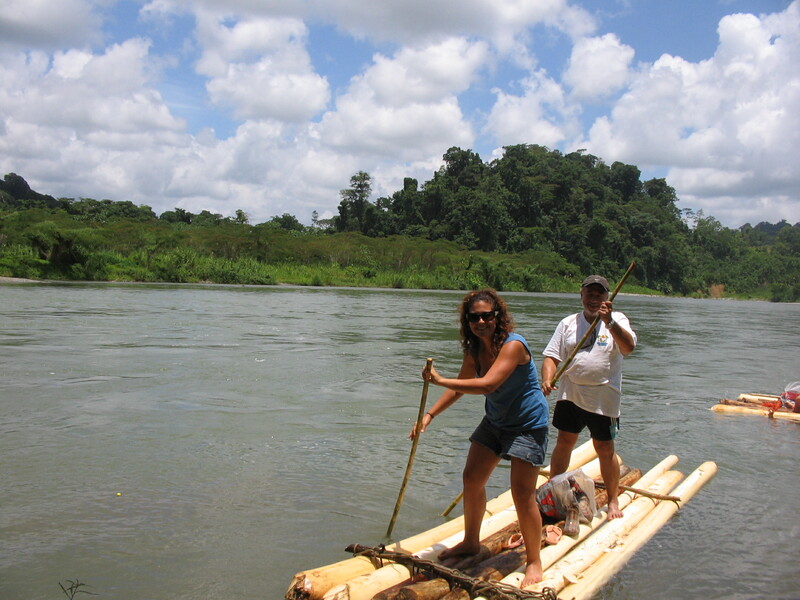 The Naso, also known as the Teribe, have been the inhabitants of the mountainous jungle region of the northwestern corner of Panama since long before the Spanish colonizers ever reached the shores of Central America. Although the Naso were once a large celebrated tribe of warriors, the arrival of the Spanish in the 17th century led to a decimation of the Naso population with war, relocation, and disease. 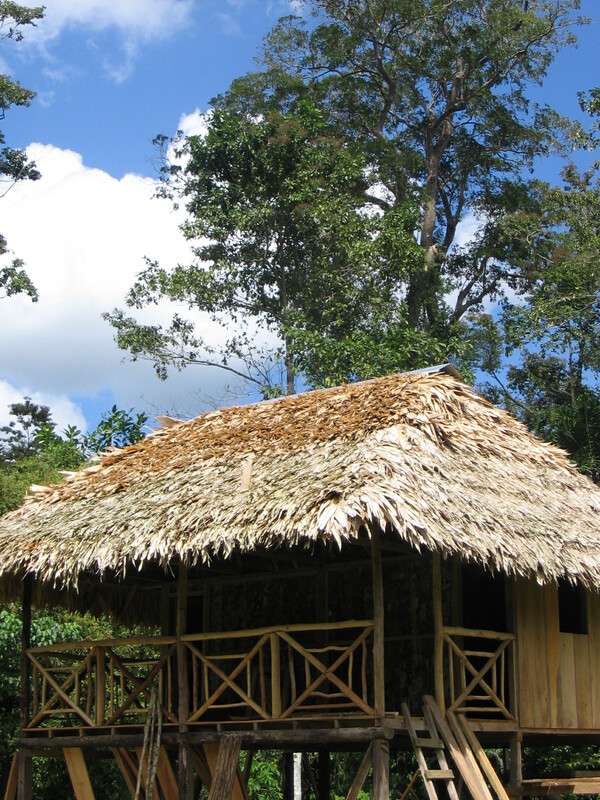 Today, the remaining Naso live in 11 small communities located along the Teribe River amid the lush forest of the La Amistad International Park. The basis of Naso life, both historically and today, is the Teribe River. Although called the Teribe by the Spanish, the original Naso name for the river is Tjër Di. ‘Di’ means ‘water’ and Tjër is the “Grand-Mother”, the giver of life and guiding spiritual force of the Naso ancestors. The Naso are proud to be the only remaining monarchy in the Western Hemisphere. The population of about 3,500 Naso people all pay allegiance to the king, who resides in his royal palace in the community Sieyik, the center of the Naso region, located approximately two hours upriver from Soposo Rainforest Adventures. The king governs with the help of his consejo (board of advisers), representatives drawn from the various communities. The Naso reserve the right to switch kings if they become unhappy with him. They can vote him out, but the replacement has to come from the royal family. The Naso have maintained their close connection with the earth for centuries. Although they have always been dependent on the bounty of the rain forest, the Naso culture has strict regulations that prohibit the exploitation and over use of these resources. Because of that cultivated sense of conservation among the Naso, their rain forest home still exists much as it did hundreds of years ago. Today, however, the Naso find their very survival, and that of their children threatened. Many Naso are forced to leave behind their homes, family and culture to seek out jobs in urban areas. Those that remain in their ancestral homelands are feeling increasing pressure from outsiders intent on overfishing, over hunting and over harvesting their trees. Even more frightening are the multiple hydroelectric projects approved by the Panamanian government that threaten to displace Naso communities and destroy their remaining natural resources and cultural identity. Although several of Panama’s other indigenous tribes have received large tracts of land from the Panamanian government that are designated as reservations for those tribes, the Naso still do not have comarca (reservation) status for their land. The Naso continue to fight for the creation of a130,000-hectare comarca of their own, but it is seeming more and more unlikely with the governmental interest in profiting from the resources that the Naso have depended on and protected for centuries.